Like many celebrity babies these days (Alexis Olympia Ohanian Jr.,Ace Tucker and others), Twins Ronald DeVoe III and Roman Elijah DeVoe have a joint Instagram with thousands of followers. 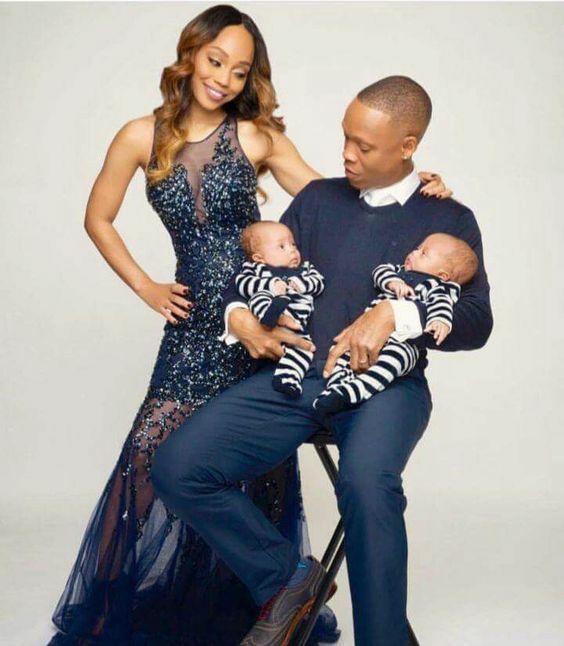 The infant boys’ parents are New Edition and BBD original member Ronnie DeVoe and one third of the 90s Gir R&B group Blaque, Shamari DeVoe. One of the boys, this one below, looks just like his daddy. I cannot tell which one he is because the famous parents have chosen to refer to the boys as the DevoeTwins in social media. They are not sharing their individual names on their page or in any other online references. A lot of twins, later in life, lament on always being referred to as “twin”, and being denied an individual identity. I want the DeVoe Twins to have an independent identity. I’m sure they have one at home. Anyway, this decision to control access to the kids is great for branding the boys. It is similar to how Mariah Careyo and Nick Cannon branded their twins, Morocco and Monroe, as “DemBabies”.